Almost every Instagram user that likes posting photos and videos is interested in the accounts of friends, beloved ones, celebrities, favourite brands and others. When you open the Instagram app you usually scroll your feed to check Instagram activity of your follows. In the app you can see the posts the users publish and also their likes and follows in the following feed - just tap the “heart” icon and then “following”. But what if you want to view someone’s Instagram likes? Actually there are only a few solutions for the requests such as “how to see a specific person's activity on Instagram”. The most popular advice is to use the following feed we mentioned earlier. You should tap a “heart” icon, then “following” and search through your follows actions the activity of the user you want to snoop on. But it’s very time consuming and there are no guarantees that you will be able to find all the likes and follows made by this specific user because of Instagram algorithm that shows only limited number of actions. Some users like to check when an Instagram user is online. It’s also important for marketers and bloggers that are studying their audience’s hours of activity. In the Instagram app there is a special feature - online activity status that shows when the user is online. But it’s not very useful if you haven’t written any messages to this user - the online status is active only in direct messages. Another disadvantage is that the online status feature can be turned off by an Instagram user and you can’t see when the user logins into app and makes some actions. There is a better way to stalk someone's Instagram activity without making a lot of efforts and research the user’s periods of activity - using Snoopreport tool. 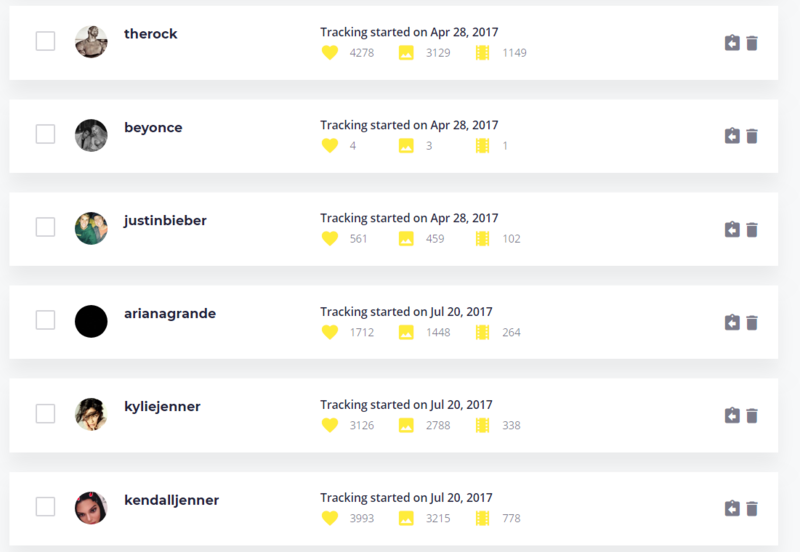 Snoopreport is the Instagram monitoring tool that lets you track what any public account likes on Instagram and whom follows. Now you don’t need to look for every like in your feed, but only enter the account’s username and in a week you will get the report with the user actions made within this week. The data provided by the service is very accurate - almost 95% success rate. Snoopreport tool will be useful for marketers and data analysts first. It provides many metrics that aren’t available in the Instagram app. 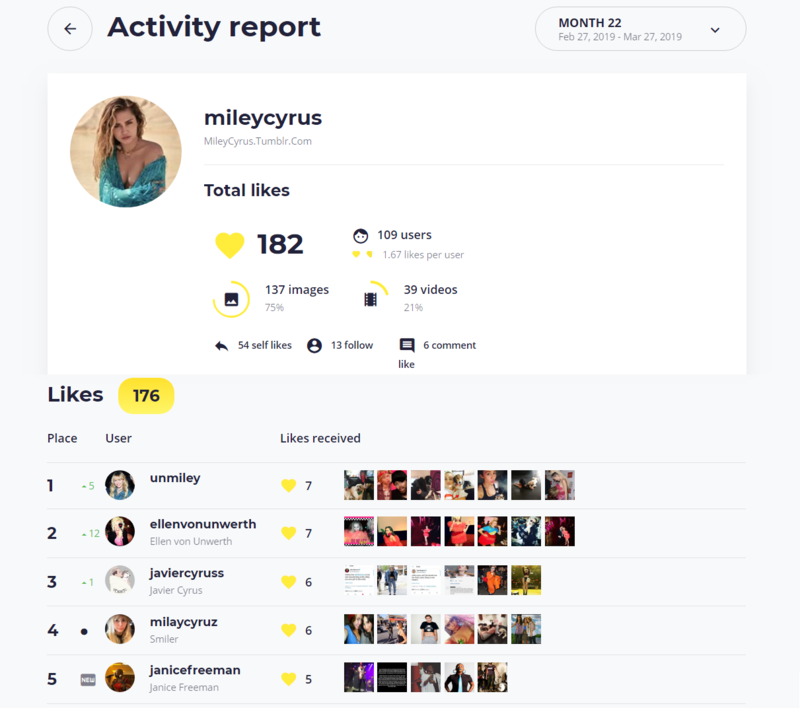 In addition to simple data as likes, comments likes and follows made by Instagram users the reports provide the user interests, activity time periods, hashtags of the posts liked. Snoopreport also lets download the user actions chronologically in CSV format where more information is available: geolocation, likeback, liked posts captions and much more. But the service is also great for individual users: parents can monitor their kid’s activity to prevent them from cyberbullying and suspicious accounts; users can monitor their friends and beloved ones to learn about their preferences and get an idea about making good presents; or you can just track what your favorite celebrity or blogger likes on Instagram and whom follows. To start monitoring an Instagram account - first you need to choose a subscription plan. They differ depending on the number of accounts you plan to track - up to 2, 10 or 100 accounts. After the payment completed you should enter the Instagram username and choose the required account from dropdown list. Since this, the monitoring starts immediately and you will be getting the weekly and monthly reports with user’s likes, comments likes, follows, tags clouds and more..
You can get more information about the tool and see the reports examples on Snoopreport website. Feel free to use this service if you’re seeking how to see someone’s activity on Instagram.